Often, wedding parties are comprised of groomsmen or other members who live in other parts of the country. 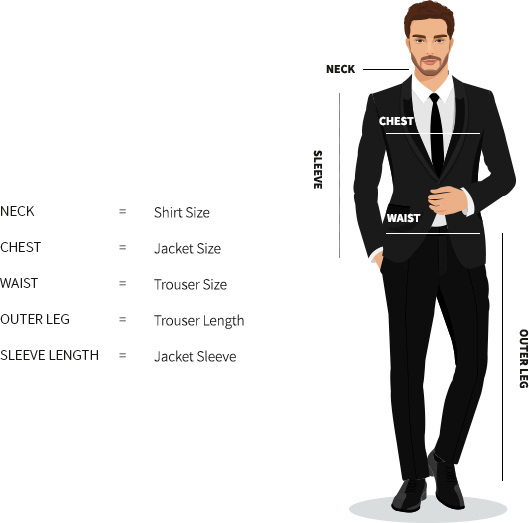 Penguins Formalwear has designed a measurement chart to help facilitate those members to easily supply their accurate measurements. This will help secure the required formalwear until a proper fitting can be done at the Penguin showroom. Please use the measurement chart on the right and fill out and submit the form below!